No downloading! Recieve a password to watch online instantly! You’ll receive an email that will contain a link to a secret video player (like YouTube) and a personalized password. Start watching immediately anywhere you have access to the internet! 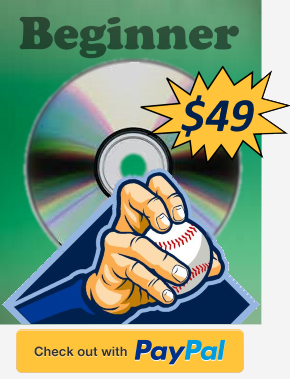 The Beginner Video teaches you the very foundation of a pro knuckleball delivery. It’s 45 minutes long and divided up into 11 different chapters. The info in the Beginner Video will instantly make you better. 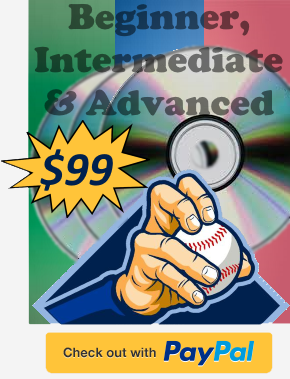 You can use the Beginner Video to become a better weekend warrior pitcher, or you can move onto the Intermediate Video to continue your journey towards a pro-quality knuckleball. Nobody can skip the fundamentals. In the Beginner Video, you’ll learn the delivery from the ground, up. You’ll begin to understand just how the entire body can influence the flight of the knuckleball. This video is for all ages and skill levels, and you can watch it immediately! The Intermediate Video builds upon the Beginner Video. You’ll dive deeper into mechanics of the knuckleball to learn just how to throw a pro-quality knuck that’s explosive, hard to hit and even harder to catch. The Intermediate Video is over 45 minutes long and is divided up into 11 different chapters. Have you ever thrown a knuckleball with no spin that didn’t move that much? Well, there’s a mechanical reason for that. In this video, you’ll learn how to put your whole body into the pitch to make it violent and downright nasty! The Beginner and Intermediate Videos will teach you all the mechanics that you’ll need to know in order to throw a pro-quality knuckleball. Only a select few will move onto the Advanced Video. The Advanced Video takes a different approach. You’ve learned the mechanics of a pro-quality knuckleball from the Beginner and Intermediate Videos. Now it’s time to dig a little deeper into abstract ideas. These are the mental tools and little mechanical tweaks that I’ve learned from my work with RA Dickey, Charlie Hough, Tom Candiotti and Phil Niekro. 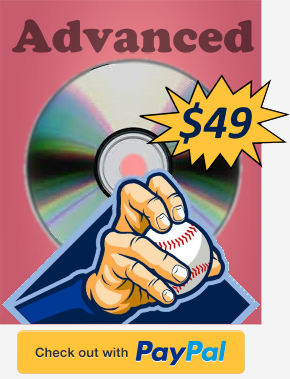 You’ll learn how to throw more strikes, control the break of the knuckleball and how to mentally prepare yourself for competition in the Advanced Video. And you’ll learn some of the coolest little mental tricks that are bound to make your knuckleball even nastier. And all these tips come from the greats! Only for the serious knuckleball pitcher! 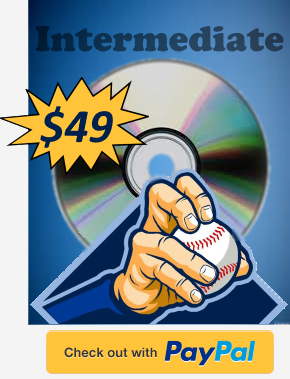 You can purchase the entire selection of Knuckleball Nation’s Instruction Videos for a $50 discount! Watch them all back-to-back, or watch them one at a time! It’s up to you! 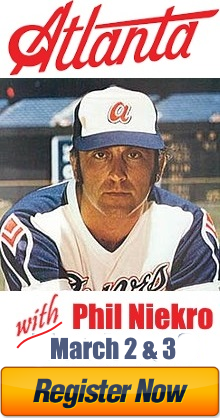 I certainly would not have broken into pro baseball without the lessons I learned from RA Dickey, Charlie Hough and Phil Niekro. These videos pass that information on to you! There’s no need to toil in the backyard guessing at how to throw a knuckleball! And once you watch the videos, don’t be afraid to send me any questions. The videos will give you a great base of knowledge and an even better vocabulary to ask the right questions. Now get out there and don’t let it spin!